If you are an Evernote user you probably know that its purpose is to be your external brain (and who couldn’t use one of those?). In fact, Evernote’s tagline is “remember everything.” Meaning, of course, everything you want to remember. The moments I most want to return to are often caught on camera: trips, parties, big events—including, recently, the birth of my first child. But there’s been a disconnect: that is, I store everything in Evernote except photos, which I manage with a different application. Correction: I used to. 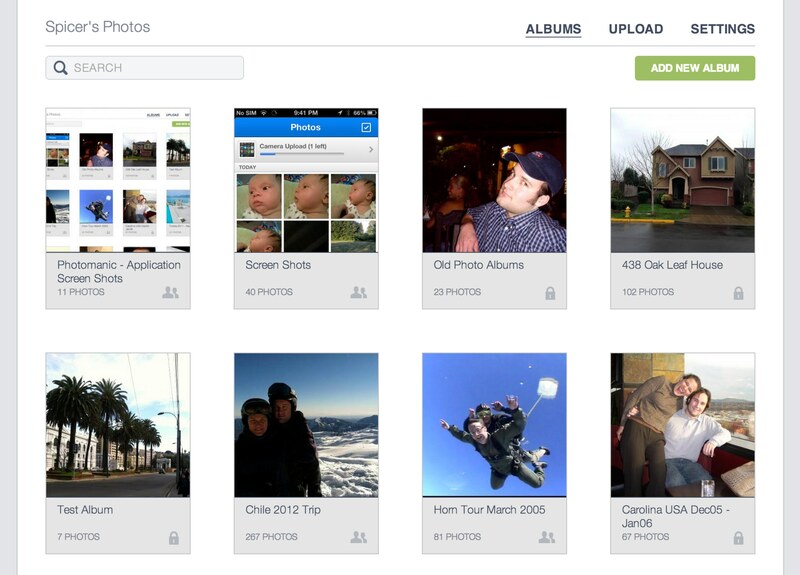 Because I am pleased to introduce Photomanic, our new photo gallery app for Evernote. Using the simple yet robust Photomanic web interface (and soon mobile apps), you can easily upload your photos and organize them into albums in Evernote to enjoy whenever, wherever (and share, if you like). Beyond keeping virtually all of your memories in one place (finally! ), Evernote is the perfect place to store your photos for eternity (give or take). Because if you are an Evernote Premium user you get 1 gigabyte of storage per month—it’s a use-it-or-lose-it sort of thing so you might as well use it—and if you ever stop subscribing to Evernote, the storage you have paid for remains yours. With other services, if you stop paying you lose your storage space. Not cool. Photomanic was borne of some real grievances with other digital photo services and inspired by principles of the ideal user experience. We at Cloudmanic Labs believe that we have built the best way to store, organize, and protect your most precious memories. Photomanic for Evernote can help you transform that virtual shoebox of jumbled images into a safe deposit box of treasures. Never lose another photo. Never switch photo services again. FYI: we built Photomanic for the for Hacker League’s Evernote Devcup 2013. Wish us luck, we are in it to win. Why are you still here? Go sign up for Photomanic and take control of your photos today!